Our philosophy underpins our vision for all who belong within our community, and has been developed as collaboration between the different groups who are a part of it. It guides our policies, practices and programs, and influences who we are and who we are becoming. Kaurna miyurnte, Kaurna yarta, nqadlu tampinthi. We recognise Kaurna people and their land. At Halifax St we acknowledge the Kaurna people as the traditional owners and protectors of this land. We recognise their long and rich connection with this country and understand that this relationship is still as important to the Kaurna people today as it has always been. We are committed to ensuring that we live out our philosophy in ways that weave understanding, knowledge and respect for the Kaurna people and their culture into all that we do as we work together towards reconciliation. Care is an attitude that is genuine and made visible within the physical, social and emotional environments that we create. We have been entrusted with the lives and the living of children, and we value the role we play in who they are and in who they are becoming. We care for the whole child – mind, body and spirit, as well as for the various groups of children within our centre, and we understand the close connection between care and the teaching and learning that unfolds within relationships that nurture children’s health and wellbeing. There is a direct link between wellbeing and children’s engagement within learning programs which influences positive learning outcomes. When children, families and staff experience an environment of care they are supported to feel a sense of belonging, optimism and purpose. Connectedness is about people, place and environment. We build strong connections with each other, with children, with families and with our community. 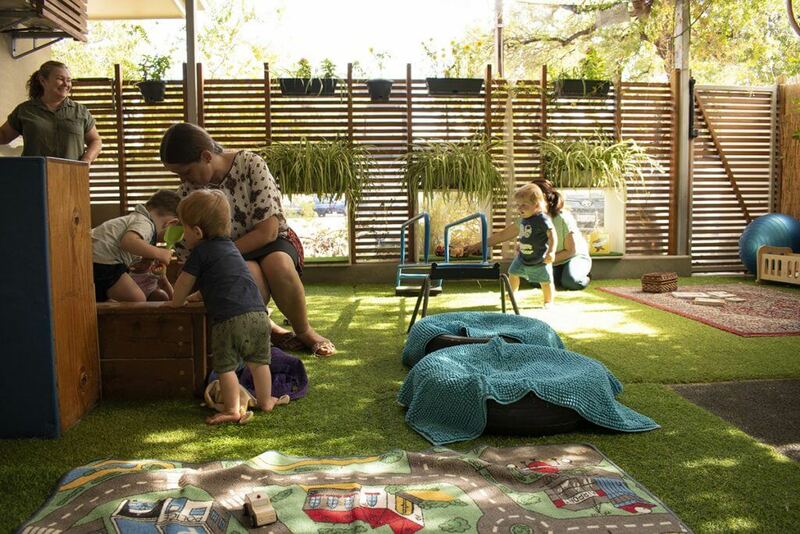 Our desire is that all families feel connected and empowered to participate within the centre through the relationships they form with and between each other and us. We value and respect connections to culture and make this visible in the ways we welcome and celebrate the inclusion of educators, children and families from diverse backgrounds. We work to connect each and every child into our centre and into relationships with each other because a sense of belonging is the beginning point of wellbeing and learning. Everyone has a right to feel a sense of belonging within our centre. We give particular emphasis to the nurturing and sustaining pleasure of preparing and sharing food that is both beautiful and nutritious, and are intentional in building both experience and connection between the growing of raw foods in our garden, kitchen processes and the enjoyment of food at meal times each day. A Special Place of Teaching and Learning. Our context and space is one of learning and one for learning. It is our centre’s reason for being, and is built on a long and rich history of early childhood education in this place. Teaching and learning are built on a foundation of care and connectedness and are participatory by nature. We work with and alongside children and recognise and value the role they play in each other’s learning within the group context. Teaching and learning are entwined one with the other, and there is a continual dialogue between the two. 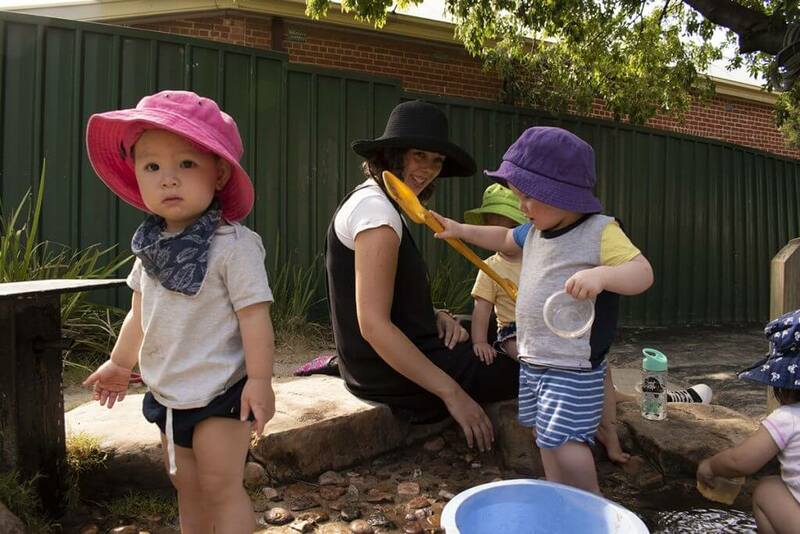 Our teaching and learning programs are based on ‘Belonging, Being and Becoming: The Early Years Learning Framework for Australia’ and ‘The National Quality Framework’. We value our own ongoing learning, and draw on many contemporary theories and ideas to support our thinking and research. We make particular reference to the municipal preschools and infant/toddler centres of Reggio Emilia to inform our work, and to give us a lens through which we can explore and understand the intricacy of the relationship between teaching and learning. We work towards being intentional, purposeful and thoughtful in all that we do, say and provide for children because we understand that there is potential for learning in every space that we prepare and in every moment that we experience together. We recognise and value the many rich opportunities for learning both inside and outside in children’s play as well as in the spontaneous experiences and interactions which take place every day, and we embrace the sounds of joy and laughter that often happen along the way. We believe that we have a responsibility to make learning visible through the many forms of documentation which we create. We are committed to building our team to be one which is of the highest quality, and value the competence and skills of all who have a role in our centre. A place which upholds the rights of all, and supports an understanding of the responsibilities which go hand in hand with these rights. We all have rights – to have our voice heard, to explore, to feel loved and cared for, to have environments both within and beyond our centre that support and acknowledge potential, to participate, to be a part of the community, and to feel valued and respected. We all have a responsibility to care for each other, our environment, our community and our world. We understand our responsibility to advocate for quality Early Childhood Education on a local, state and national basis, and are active participants in forums which provide opportunities for us to do this. We are guided by legal frameworks which articulate children’s rights and our responsibilities as educators, and advocate for children’s rights to have environments which support them as competent learners and members of our community. Our awareness of the rights of children influences how we welcome and include all children and families, and leads us to actively search for ways to make a sense of belonging a reality for all. We understand that both individuals and groups have rights and responsibilities, and that this necessitates both reflection and negotiation. We also believe that when adults work in a positive and respectful way with each other children are supported in their own learning about what it means to belong within a group.